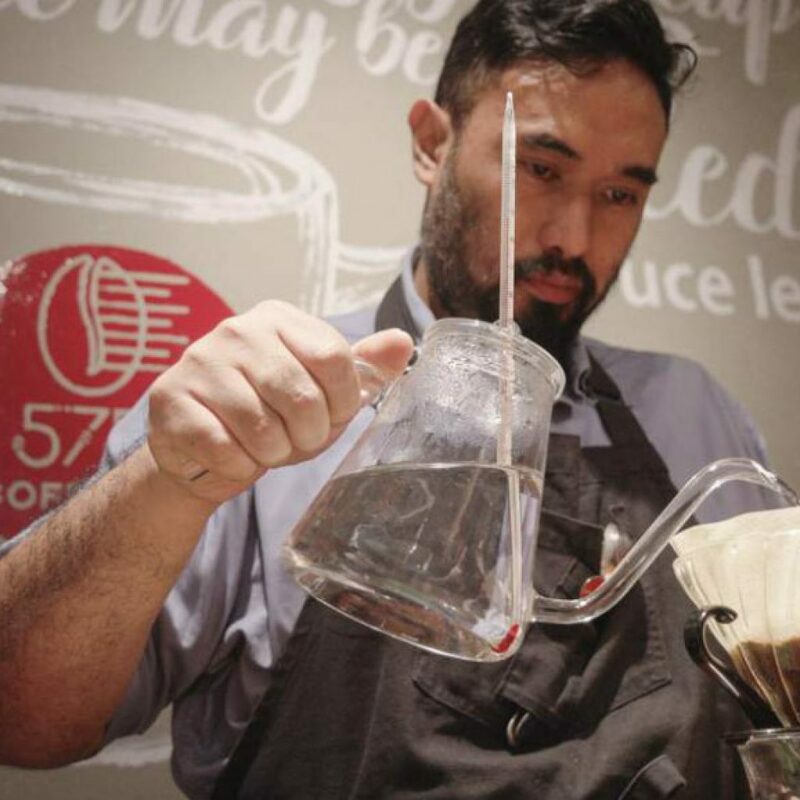 Adi Taroepratjeka, the first Arabica Q-Grader instructor in Indonesia, is not a stranger to coffee lovers in Indonesia. 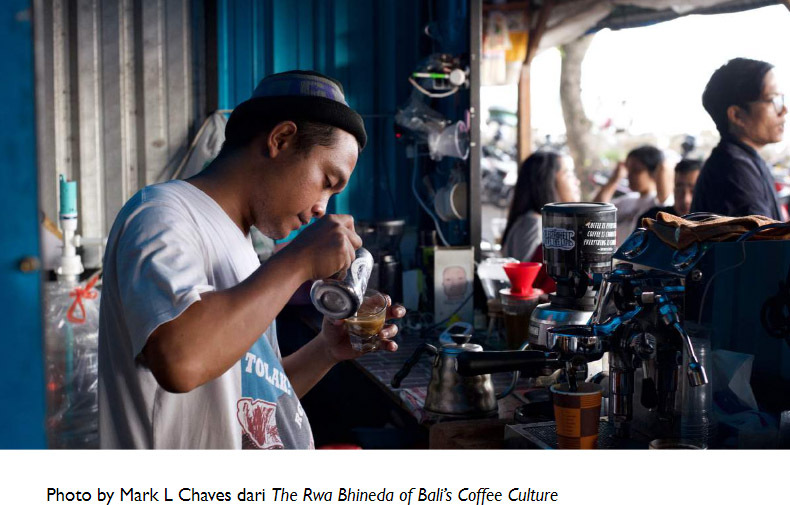 He has brought coffee stories through Coffee Story on Kompas TV and teaches at 5758 Coffee Lab in Bandung. But in this interview, Adi will not discuss espresso or single origin flavors, but kopi tubruk and instant 3-in-1 coffee. Why? Because amidst the heated debate about what type of coffee is worth drinking, there is a feeling that is often forgotten, namely the enjoyment of coffee itself which is sacred and very personal. It is a common knowledge that people in Indonesia are keen to follow whatever is trending internationally. 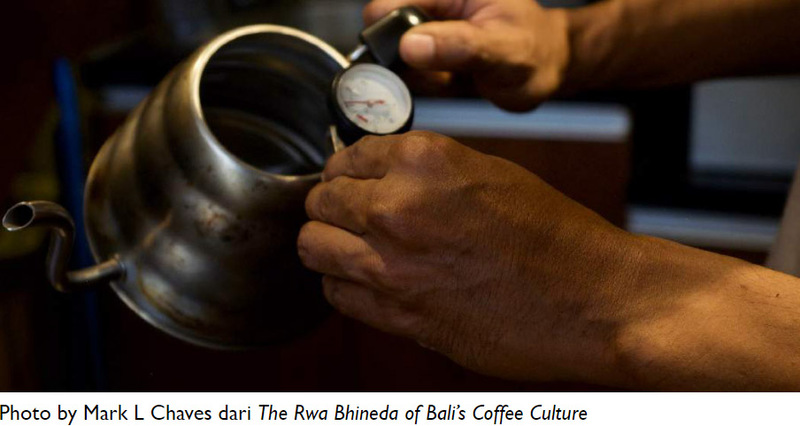 Adi believes, Indonesians haven’t had the capability to make innovations in the coffee industry. Until now, we still base our tastes on what is considered good and delicious abroad, then believe they are the right things. From the interior of the coffee shops, design concepts, to the brewing equipment, many aspects abroad are taken and applied in our country. One simple case is instant coffee. 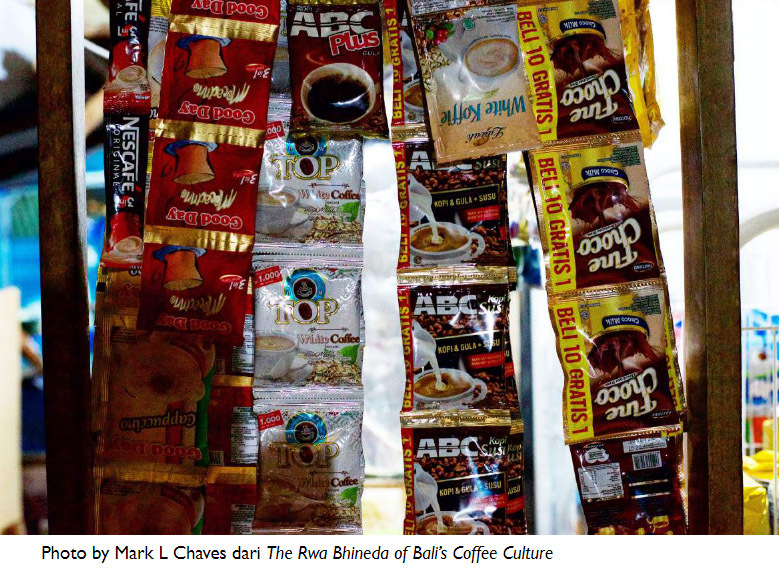 Adi believes that the stigma of instant coffee, which is mixed with corn, can harm millions of farmers in Indonesia. “But mixing coffee with corn is a part of our culture. In certain regions of our country, we even mix coffee with other ingredients, such as green beans, coconut, and others. However, because there is a perception that mixing coffee with certain ingredients is considered wrong, then cultural degradation ensues. Though actually there’s nothing wrong with it,” said Adi. Based on Adi’s observation, the market for corn coffee is very large and this kind of business requires a lot more effort than producing regular coffee. The corn used for the mixture is imported because Indonesia cannot supply enough corn to be mixed in instant coffee. Even the seeds are imported. Without this corn coffee business, Adi felt that the entire coffee industry would be impacted and disrupted. He imagined that if there were no more corn coffee, how many corn coffee farmers would lose their jobs, as well as the huge number of instant coffee factory workers. Moreover, instant coffee provides a stable and consistent taste. Brew it in any way and it tastes the same. 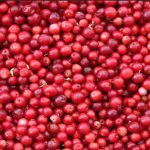 It is suitable for people who really like a consistent taste. When I returned home, I enjoyed instant coffee and I even had a unique hobby of collecting 3-in-1 instant coffee from various countries to learn about the coffee’s taste in those countries. Likewise, when giving training to baristas, I often ask them to try those 3-in-1 coffees so that they also understand that there are various tastes of coffee. 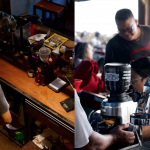 Unfortunately, the conversation about coffee is rarely followed by an understanding of the history and the various habit of brewing and drinking coffee in Indonesia. As a result, misunderstanding arises. There was a time when the mainstream trend was coffee must be bitter, no sugar allowed. Then came the new trend that promotes milk coffee using sweetened condensed milk, where actually the way to enjoy coffee like this has existed for such a long time. 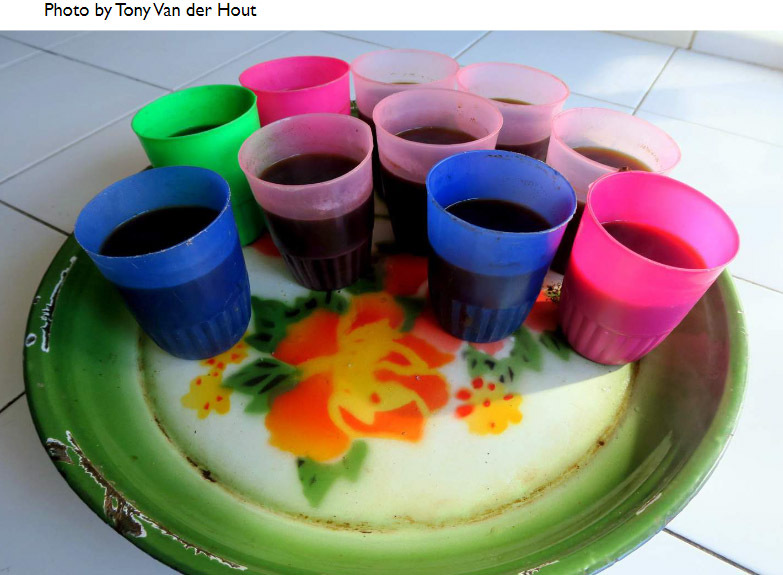 For example, in Aceh and other areas in Indonesia, there are many coffee shops that use sweetened condensed milk. But the invention of these boundaries suddenly created a label for the coffee drinkers who add sugar or sweetened condensed milk as “sinful”. In fact, taste is a very personal matter. However, people often find difficulties in expressing what they like or not due to social pressure which is also strengthened by the current existence of social media. Adi believes that Indonesians are less accustomed to discussion, so that their views are easily led by trends or general opinions. Like a translator, the Q-grader’s task is to tell the quality of coffee. Including, knowing when we should put aside our preference for the coffee served in front of us. The other most important thing is that I have the big responsibility to stay humble because basically, that influences other people’s opinion about taste. According to Adi, it is a distorted perception when baristas think that they must master everything, not only brewing coffee. In fact, the process of brewing coffee is a magical process where one can turn solid particles into liquid. When they want to master all skills from roasting, brewing to latte art, that’s when their focus will diminish. In the end, they no longer focus on the taste created from each of the brewing processes. “Imagine that roasting is like an artist who is given a blank sheet of paper and a set of painting tools to produce a work. Can a child do the same thing? –Yes he can. But are the results the same? –No it is not,” he said. Therefore, baristas should ‘play around; and practice with various tools to activate the spirit of innovation in creating unique tastes. However, back to taste and preference, even the champion Baristas must be able to restrain themselves when discussing about taste; that no matter how rich their knowledge of coffee is, in the end, the taste falls to the palate, then to the heart, where we remember the scent of coffee we like the most.